The HIA Practitioner Workshop (formerly HIA of the Americas) presents a unique opportunity for current practitioners of Health Impact Assessment to participate in strategic field building. The workshop is uniquely structured around small working groups, with additional presentations and a keynote panel. Promote excellence in HIA by sharing best practices, tackling challenging HIA related issues, disseminating resources, and beginning the development of new resources for the field. The 2017 HIA Practitioner Workshop in Washington, DC was a tremendous success with a variety of exciting and insightful sessions. Thank you to everyone made this event possible. The Workshop could not have been held without the very generous support of the Health Impact Project, Human Impact Partners, Kay Houghton and Associates, and Georgia Health Policy Center. We also want to thank all participants of the Workshop for their enthusiastic engagement and generous sharing of ideas. The 2017 HIA Practitioner Workshop in Washington, DC was a tremendous success with a variety of exciting and insightful sessions. Thank you to everyone who made this event possible. The Workshop could not have been held without the very generous support of the Health Impact Project, Human Impact Partners, Kay Houghton and Associates, and Georgia Health Policy Center. We also want to thank all participants for their enthusiastic engagement and generous sharing of ideas. Beyond these great sessions, participants enjoyed a welcome dinner at Old Ebbit Grill, Happy Hour sponsored by Kay Houghton and Associates, and numerous opportunities to network and connect with fellow practitioners. Additional SOPHIA resources were highlighted during the SOPHIA Wheel of Fortune hosted by Jimmy Dills and Emily Bever. 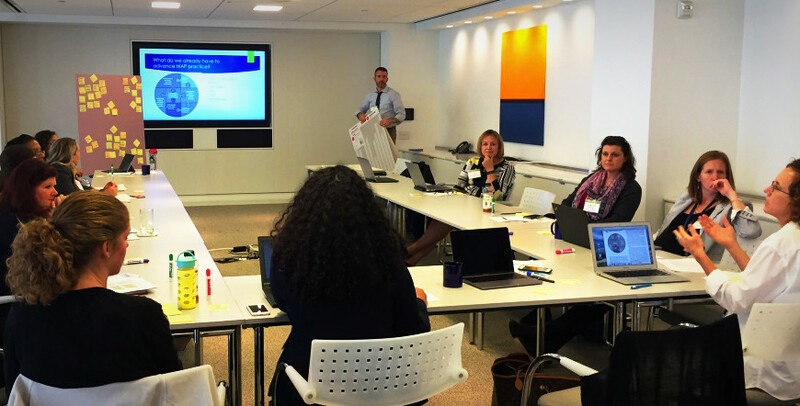 Teams went head-to-head to reveal and discuss some of the old and new resources provided, disseminated, and supported by SOPHIA like the HIA Practitioner Stories, Chronicles of Health Impact Assessment, and the Minimum Elements and Practice Standards. Take a look at the brief recap of sessions below and see the full agenda and other conference materials online. Take a look at the panel presentations here. Since the 2016 Practitioner Workshop, members have been hard at work. Working groups shared numerous new resources and updates with participants including the new stakeholder engagement videos (Gretchen Armijo), Equity Metrics & Case Studies (Kim Gilhuly), updates from Monitoring & Evaluation (Justicia Rhodus), and the new CHIA issue (Cynthia Stone). Four active working groups met during the Workshop to move products forward or initiate new efforts including: HIA and Climate Change, HIA and Health Care, Health in All Policies, and Reporting. If you are interested in getting involved, please let us know! This year we welcomed back the popular Lightning Talk session with 8 fast-paced presentations. Lighting talks are quick and snappy 5-minute presentations that aim to communicate an idea or an experience to an audience. The goal is to keep the content of the slides and ideas flowing. The result is powerful and entertaining, and the session is always a participant favorite. This year the session prioritized themes ranging from: new tools and resources (we heard from Justicia Rhodus about EPA’s C-FERST HIA Roadmap) and effective communication with new partners (Carleigh Olson and Audrey Boerner’s presentation A Tale of Two City Officials) to leveraging HIA for HiAP (like Kimberly Libman’s presentation on how the East Harlem HIA was used to promote health in housing and land use policy). For the first time, we utilized an Open Space format during the Practitioner Workshop. During the day-2 breakout sessions, participants were able gather to discuss topics they deem important. Open Space is a self-organizing practice of collective activity which releases the inherent creativity and leadership in people. By inviting people to take responsibility for what they care about, Open Space establishes a marketplace of inquiry, reflection and learning, bringing out the best in both individuals and the whole. 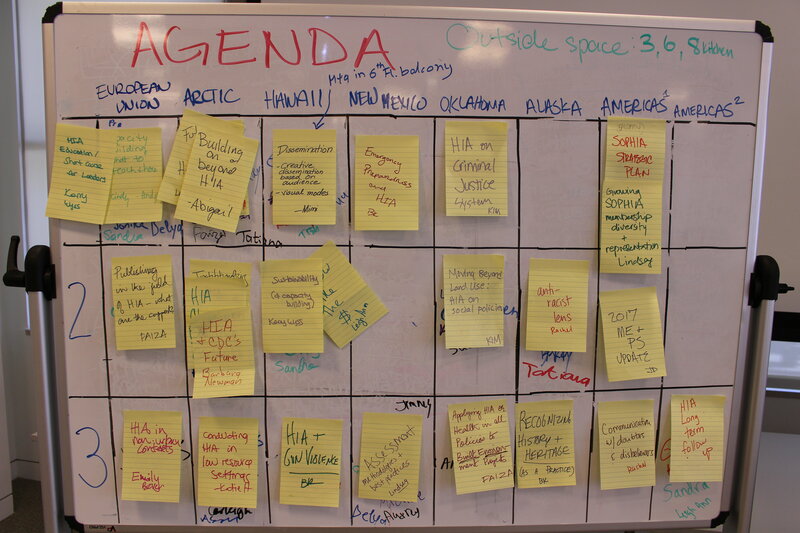 During the Open Space time, more than 15 breakout groups met. Topics were diverse, and the Open Session provided space for participants to initiate or continue discussions that may have not otherwise been covered during the Workshop. These breakouts included topics like: HIA in Low Resource Communities; Assessment in HIA; HIAs on Social Policies; SOPHIA's Strategic Plan; Criminal Justice; Emergency Preparedness; HIA and the CDC; Publishing in the Field of HIA; and HIA in the Classroom. While not all of these groups will continue formally, the open session was a key part of identifying new opportunities to further the HIA field.